Now a ‘Balaka Paribahan’ bus hit the car of former minister and MP Rashed Khan Menon. Though the car was damaged, the president of Parliamentary Standing Committee on Social Welfare Ministry and president of Bangladesh Workers Party Rashed Khan Menon have survived. A ‘Balaka Paribahan’ bus (Dhaka Metro-Ba-11-9684) hit the car carrying Menon in front of the Mohakhali police box in the capital on Friday morning. During this, Rashed Khan Menon was inside the car. He was heading towards Hazrat Shahjalal International Airport. 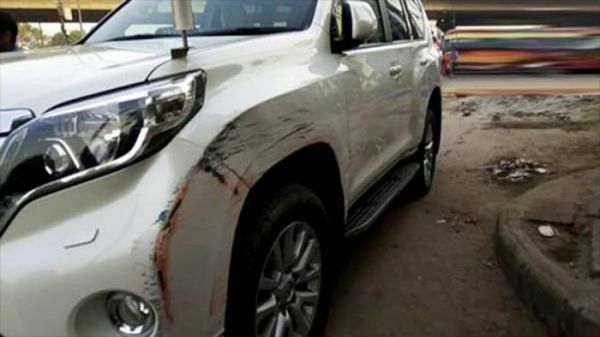 A notification sent from the office of the Workers Party said that a bus of Balak hit the car of Menon in front of the Mohakhali police box while going to Hazrat Shahjalal International Airport at 7:30 am on Friday. Later the sergeant on duty stopped the bus and arrested the driver. The driver said in the interrogation that the bus has no documents. He does not even have a license. Even there is no fitness of the vehicle. According to the notification issued by Workers Party, bus and driver are in Banani Police Station. “The bus has already been sued in the mobile court. And no driver’s license got. The license was sealed as there is a case against the driver,” said SI Mokhlesur Rahman. The name of the driver was not immediately known.